Author(s) Narlikar, A.V. ; Narlikar, A.V. 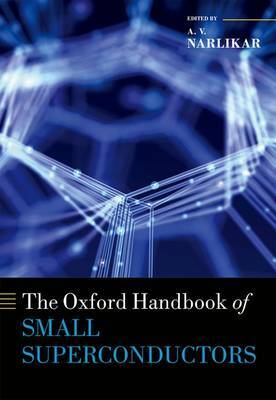 This edited handbook is about a remarkable set of materials that are technically referred to as "mesoscopic superconductors", which for all practical purposes are tiny or small in their dimensions, ranging from a few micrometers down to a nanometer. At this level of smallness, the superconducting properties get dramatically changed, showing the dominance of strange quantum effects. Further, in a world obsessed with miniaturization of electronic device technology, small superconductors acquire even greater relevance and timeliness for the development of exciting novel quantum devices. The chapters contributed by noted experts from 15 countries are presented in three parts: progress in basic studies, materials specific research, and advances in nanodevices. They should be of immediate interest to advanced level university students and researchers in physics, materials science, nanoscience and engineering departments, as well as to professionals working in electronics industries. Various reviews and overviews should answer the queries and curiosities of non-specialists interested in nanoscale superconductivity. The book offers the opportunity to engage with cutting edge research in one of the most exciting fields of physics today and tomorrow.